In the article “Whistle while you work: the link between happiness and success” I mentioned that one of my top 5 ways to stay positive was to focus on breathing. A great practice to incorporate breathing work into your daily schedule is through meditation. One of the easiest ways to start is by focusing on your breathing throughout the day. When you are hurried and rushed, do you notice that your breath is shorter and more labored? If so, begin by focusing on each breath. Take deep breaths in through the nostrils and release through the mouth while paying attention to the rise and fall of your stomach as you focus on your breathing. Next, try releasing tension in all your body parts. Focus on the feet first and release tension in that area; move up to your ankles, etc. Do this until you have reached the top of your head. For some practitioners, tightening and releasing muscles as they go along makes for a greater awareness of the release. Practice your breathing techniques together with the release of tension in your body parts. At first, this will seem difficult; however, it will become easier as time goes on. You will be able to tighten and release your muscles and breathe in and out to release that tension. Stretching your muscles a bit before sitting to meditate is a great way to get blood circulating and get in the moment. Choose a focal point, if you wish. For some, meditation is only done with their eyes closed, while others need a focal point. Yours could be a picture on the wall of a serene setting. Let others in on your new-found desire to learn meditation. If those around you know you need quiet time, they will respect your solitude – especially if it will give them a happier and healthier you. Be intentional about your meditation. Meditation is both a practice and a learned skill. It needs to be practiced intentionally in order for it to work. It doesn’t just happen to you. When trying to start a regular meditation practice, there will be distractions and adjustments, and your mind will probably want to talk you out of it as well. However, if you persist and experiment, you will get to where you need to be in your daily routine. Be consistent with your mediation practices. Do not let circumstances take over control of your mediation practice. Before you know it, you will become a pro – just stay consistent. 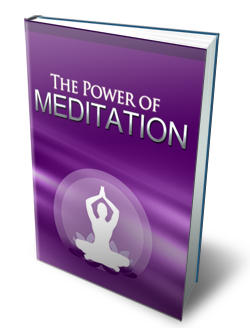 Looking for more information on meditation, check out my free report, The Power of Meditation. Brian Junyor is a believer, a marketing technologist, a conservationist, and a tech enthusiast. Brian believes in forming habits versus setting goals. He loves new ideas and forward thinkers while valuing the tried and true wisdom of the past.